Back in the Fifties, my parents and I rented a home on Remedios Street in the Malate area. Malate is just south of the Ermita district. I recall those neighborhoods as quaint, idyllic and slow-paced residential areas, with American named streets such as Tennessee, Dakota, Harrison, Pennsylvania, etc. 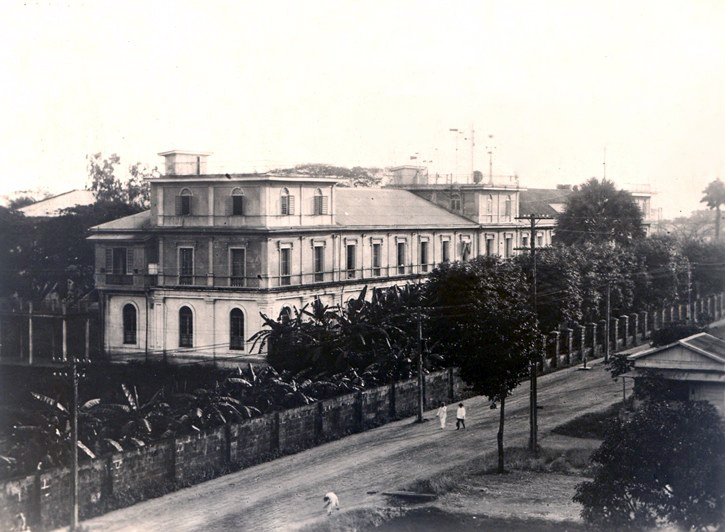 During the colonial period of the early 20th century, the residential portion of Ermita was populated by mostly Spanish and American residents, who set up such establishments as the Army and Navy Club, and the University Club. 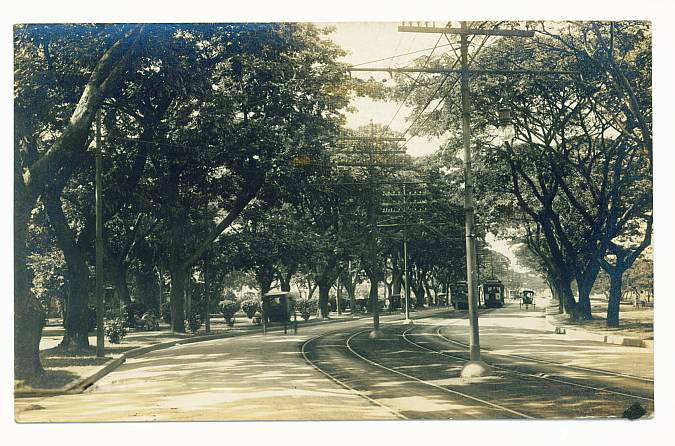 Calle Isaac Peral (United Nations Avenue) was noted for being the most beautiful street in Manila, where both sides were bordered by wide, clean sidewalks and giant Acacia trees arching across the street like a tunnel. In my research of landmarks, I came across an interesting building called the Manila Observatory, and was surprised to find out it was located in the Ermita district where Ateneo College campus once was. The old district of Ermita was founded in the late 16th century. The name was taken from the Spanish word for “hermitage”, after the fact that on this site was built a hermitage housing an image of the Virgin Mary known as the “Nuestra Señora de Guia” (Our Lady of Guidance). The hermitage has since evolved into Ermita Church, which has been rebuilt several times since the early 17th century. Padre Faura street in Ermita was formerly called Observatorio, after the famed Manila Observatory located on the Ateneo campus. The street was later renamed after the Jesuit Fr. Federico Faura, who conducted meteorological studies leading to the invention of the Faura barometer which indicated the proximity and intensity of typhoons. The invention won him international fame. He played a major role in establishing the Manila Observatory and the Philippine Weather Bureau. The Manila Observatory had its truly humble beginnings in a pigeon coop in the old Ateneo Municipal in Intramuros. Its founder was a Jesuit scholastic named Francisco Colina who spent his free time taking notes on the weather from home-made equipment. 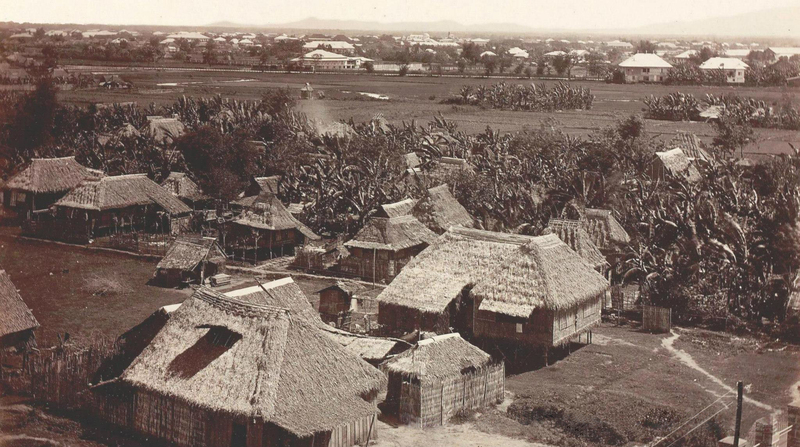 Colina and another Jesuit, Jaime Nonell, published their observations on the 1865 typhoon in the Diario de Manila and the Jesuits were requested to compile weather data to provide better knowledge of typhoons and minimize loss to life and property. 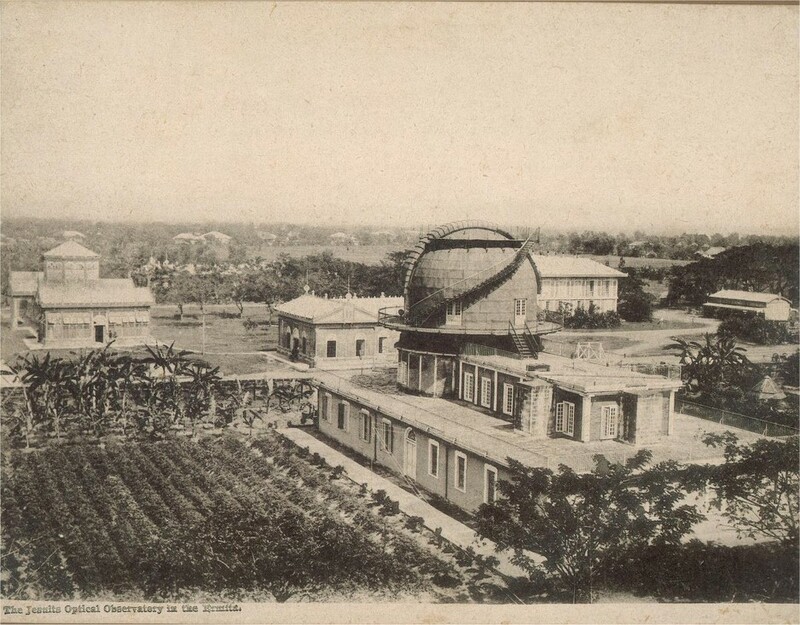 Thus was born the Observatorio del Ateneo Municipal in 1865. 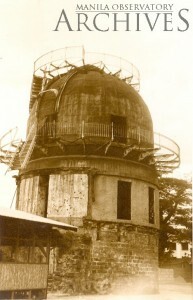 The observatory was moved to a building on the grounds of the Escuela Normal in the neighborhood of La Ermita, outside Manila. A tower was built above the rest of the buildings for the instruments. 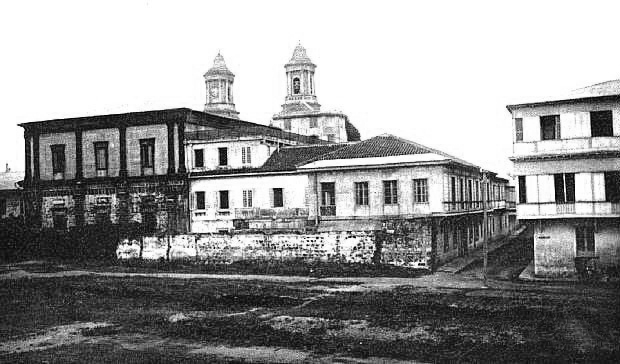 The new building in Ermita was inaugurated in 1886. 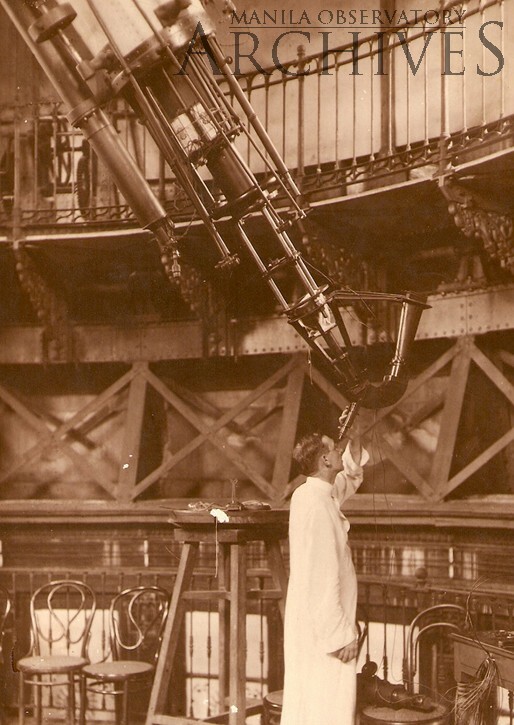 In 1894, a separate building for astronomy was built with two towers of 10 meters diameter and 14 meters height. 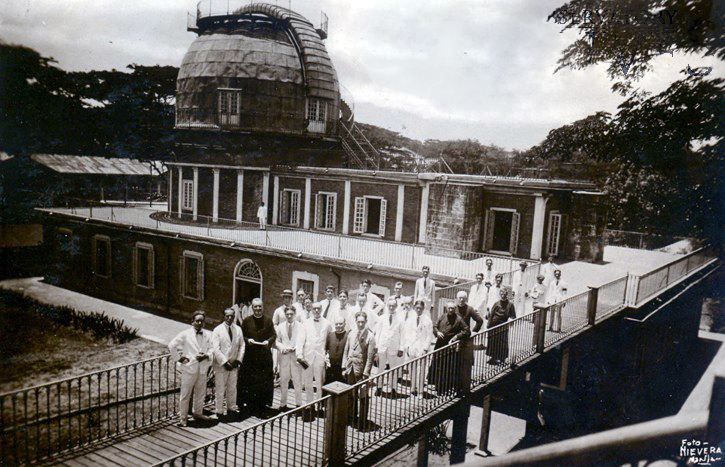 In one of them, a rotating dome was installed to house the equatorial telescope. The piers for the astronomical building were laid in 1891, under the deft direction of the Military Engineer, Don Ruperto Ibañez; the construction included a graceful staircase leading to the top of the cupola. An eighteen-inch lens was ordered from Mertz of Switzerland subsidized by a generous no-interest loan of P5,000 from Benito Legarda. On June 13, 1894, two apprehensive astronomers supervised the opening at the customs house of a big, well-padded box. Nervously, they removed the padding, then breathed a sigh of relief. The eighteen-inch objective was intact; and a thing of beauty. Unfortunately, Fr. Faura never saw it mounted nor peered at the stars with the new telescope. The disturbing political conditions between Spain and the Philippines grew increasingly dangerous and distressed him as he loved both countries dearly. With a broken heart, his health deteriorated and he died on January 23rd, 1897. Stairs led past the large aneroid barometer. The typhoon, known in the Philippines as baguío, can be one of nature’s terrifying experiences. Father Faura spent many years in the study of these dreaded storms, in the hope of being able to foretell their coming and thereby avert much of the damage they would otherwise cause. On 7 July, 1879, he predicted that a baguío would pass over northern Luzon; the event justified his warning. It was the first time that the existence, duration, and course of a typhoon had been existed in the Far East. On 18 November of the same year, Fr. 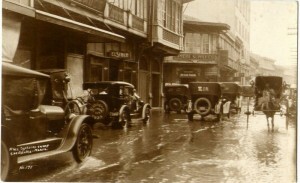 Faura predicted a second typhoon, which he said would pass through Manila. The announcement caused great consternation to the city. Proper precautions were taken, and the captain of the port forbade vessels to leave the harbor. Thanks to Father Faura, comparatively little damage was done in Manila, when two days later, the storm broke in all its fury on the city. However, due to the lack of telegraphic communication, other ports suffered extensive damage and the destruction was enormous. Forty-two vessels were wrecked in Southern Luzon alone, and many lives were lost. 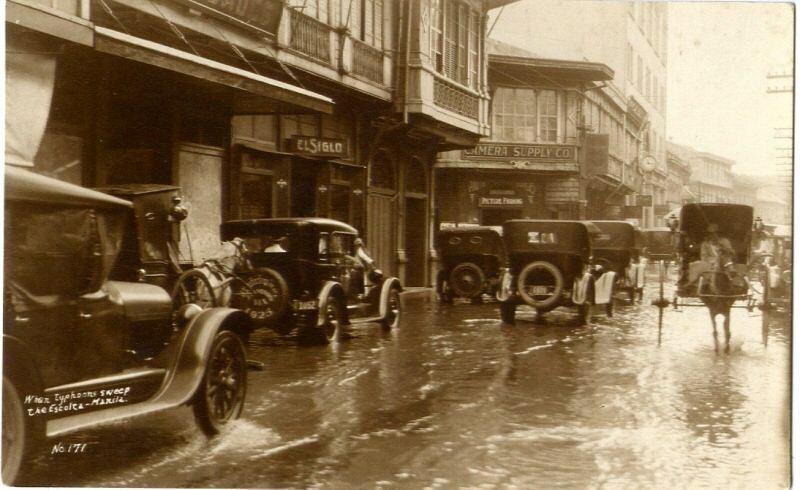 Escolta after a typhoon – 1920s. These successful predictions aroused the interests of a number of merchants of the city, who subscribed money to enable him to continue his valuable work on a larger scale. In 1880, when cable connections between Hong Kong and Manila were established, the merchants of the former colony requested that Father Faura’s prediction be sent to them, and their request was cheerfully granted. For some time the Jesuit meteorologist had been working on a barometer of his own invention, specially designed to foretell the approach of baguíos. In 1886 the “Faura barometer” was offered to the public, and it passed immediately into general use among the navigators of the Philippine waters and the China Sea. In 1884 the Spanish government declared Father Faura’s weather bureau an official institution, to be known as the official weather forecasting authority and renamed it the Observatorio Meteorologico de Manila. 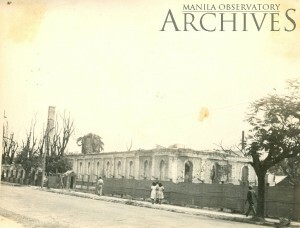 It was then that the observatory was moved from the Ateneo to the new location in the Ermita district. In 1890, at the request of the Japanese government, observations began to be exchanged with that country. 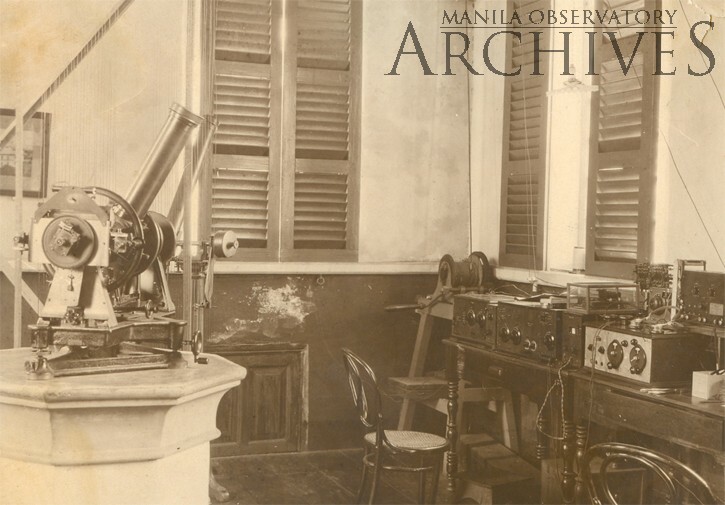 In 1895, the Manila Observatory was invited to be one of the sixteen observatories in the world to co-operate in the work of cloud-measurement, and it succeeded in making the highest of these measurements. The photographic measurements were carried on by the Rev. 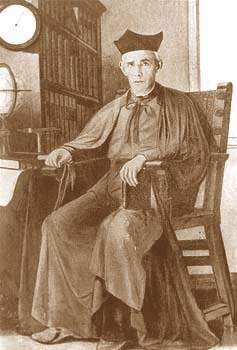 José Algué, S.J., who was, by then, the director of the Philippine Weather Bureau. 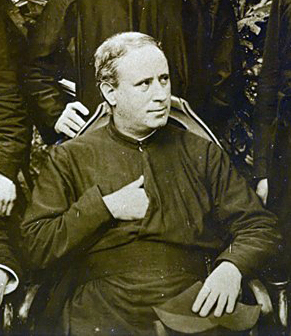 Father Algué published a valuable work. “The Clouds in the Philippine Archipelago”, as the result of his observations. His “Philippine Cyclones”, a volume much prized by navigators, and which has been translated into several languages, was published in 1897. 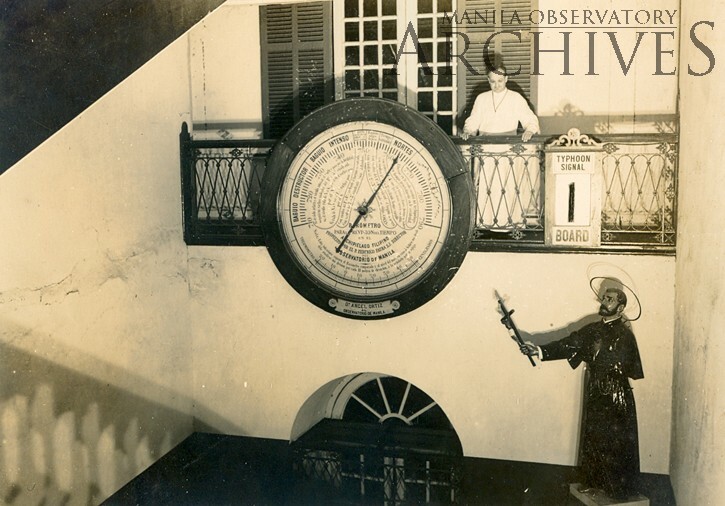 In the same year, he gave the public his “barocyclonometer”, an improvement on Father Faura’s invention which was restricted to storms surrounding only in the Philippines, and now throughout the entire Orient. The meteorological service of the Philippines was reorganized by Father Algué. 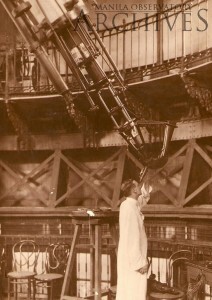 The observatory, besides a rich equipment of the latest meteorological instruments and seismographs, possessed the largest refracting telescope of its day in the Orient. It also had its own private telegraph and cable office. 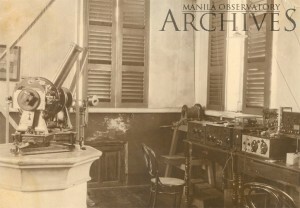 The staff of the observatory at Manila included five Jesuit fathers and twenty-five well-trained native assistants. Interestingly, the Observatory was also responsible to announce the correct time. 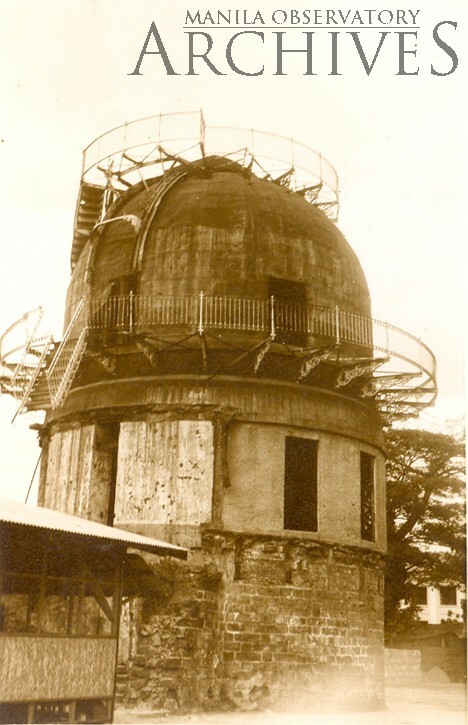 A black time ball was hoisted up the roof of the Manila Observatory at Ermita and dropped daily at noon, 120th East longtitude, standard time. It was hoisted 4 minutes before noon and in case of failure, slowly lowered 5 minutes after the signal. A gun was also fired from the battery of San Diego at the Southeastern point of the walled city. Storm signals were shown from the office of the captain of the port and from 3 masts just seaward of the fortress of Santiago near the mouth of the Pasig River. In 1901, the Americans recognized the work of the Manila Observatory and designated it as the official weather bureau until it was destroyed during the war in 1945. 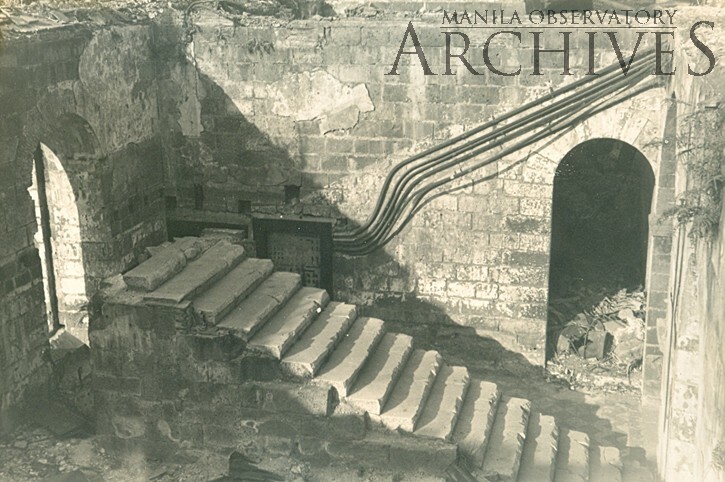 The Manila Observatory will be celebrating its 150th anniversary in September 2015. In preparation of that event, they have produced a short film. You might want to check out John Tewell’s Flickr site, which has one of the largest collections of Old Manila and Old Philippines photos I know of. He’s posted them with permission (and btw they’re all captioned) from the libraries in the US that house them. Is this observatory, already gone? I never heard of it. Can you write about the history of Paco and its church? I like history and your posts and pictures are really interesting. Keep it up! I will put it on my list. Thank you ! Hi, I would like to inquire for the source of the Padre Faura photo in this article. We would like to use it for one of our exhibits and we wish to cite it properly. Please Can you write about the history of Tondo I and II areas? I like history and your posts and pictures are really interesting. They’re all splendid to see!! I will be writing about Tondo soon. Thanks for your suggestion ! Would you kindly cite the original reference giving this information, if you recall it? There is some controversy that an earlier lens of questionable quality was produced and delivered in 1892, also by Merz of Munich.